Installing the best software will not ensure a successful MedsCheck implementation in your pharmacy. Change Management is the key to success. MedsCK is the ONLY software that provides managers and owners with the ability to track MedsCheck performance across stores. 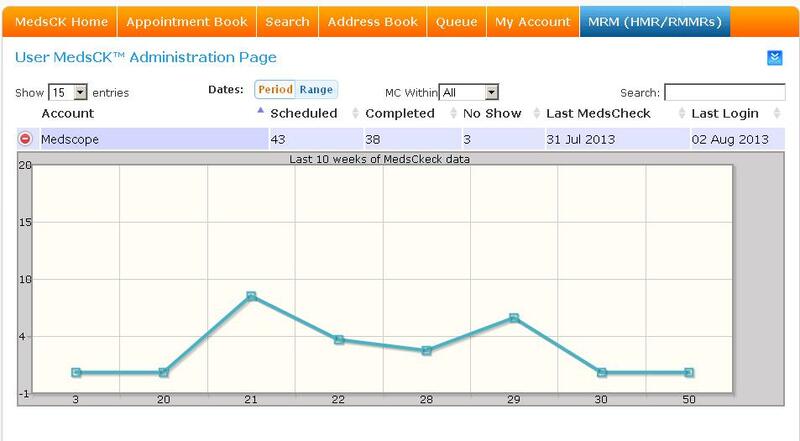 Trend graph snapshot of scheduled MedsChecks. Comprehensive MedsCheck performance statistical data. Track performance of all your stores from a single management screen. Daily MedsCK management statistic report emails.